Emery's team achieved victory in the first 90 minutes of the quarterfinals with goals from Aaron Ramsey and Lucas Torreira. The team led by Unai Emery won the victory against Napoli in the first 90 minutes of the key for the quarterfinals in the Europa League. 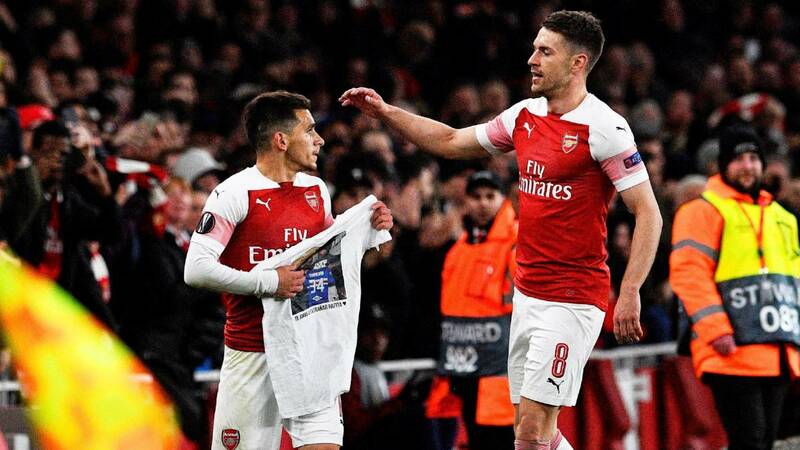 The goals of the match were the work of Aaron Ramsey and Lucas Torreira. Alex Meret was the Italian goalkeeper and David Ospina was on the bench. The series will be defined at San Paolo next week. Arsenal and Napoli will play the most attractive and even key of the quarterfinals of the Europa League, in a series that will begin in the Emirates Stadium and that will have several figures in the field. The English team will want to take a good advantage to travel calmly to Napolés and the Italian squad will try not to fall in London to close with good chances at home. The match referee will be Spanish Undiano Mallenco. The team of Spanish Unai Emery, will have a difficult opponent in the series of quarterfinals of the Europa League, and if you want to ratify as a favorite for obtain the European title, must show in his stadium and before his fans, that this sign is not big. The England box that has had an irregular season, comes to the game after falling 1-0 to Everton in the recent day of the Premier League, and the biggest concern is that the team is fifth in the League standings, so it is currently staying out of the Champions League next season. The title of the Europa League, would be important for the continuity of Emery and also to regain the confidence of one of the most traditional and important teams of the old continent. With the rumor that the team of the city of London has as one of their main objectives for the next season, the recruitment of Colombian James Rodriguez, the English will want to repeat what was done in the 2013/2014 Championships, when they faced Napoli in the group stage and managed to win by a score of 2-0 in the Emirates. The team from the south of Italy will play in England with a clear slogan: to take a result that allows him to close in his stadium the classification to the semifinals of the competition, and although he played perhaps the most complicated opponent of those who could have faced, of Ancelotti also have very good weapons and arguments as to take the series. One of the special condiments that will have the meeting, will be the return of the Colombian goalkeeper David Ospina who was his home for four years. Although the regularity of the Antioqueno in England was not the expected one, it had performances that will be fondly remembered by the 'Gunners' fans. Although it is not confirmed the ownership of the Colombian goalkeeper, he dreams of being under the three sticks on the stage that saw him fly. The Italians aims to reach the final of the second most important tournament in Europe, because in the Serie A the options of title are minimum, since they are in the second position of the championship to 20 points of the Juventus and with 21 units to dispute. This, is a great option to close the season with an important title and put a trophy back in the showcases after 5 years, after the Italian Supercup achieved in 2014.